In most cases, Orthopedic and Neuro surgeons recommend a comprehensive physiotherapy assessment and course of the treatment before other invasive interventions and surgery; to maximize the effect of the surgery, ensure faster rehabilitation and patients return to activities of daily life and sport. Pre- Operative physiotherapy is extremely useful and will speed up patient’s recovery time in case of planed orthopedic surgery, lower back or neck surgery and neuro surgery. However, regardless of the type of the surgery, starting physiotherapy before actual surgery will help patients to improve their immune system, expand lung capacity, improve metabolism and increase tissue elasticity so that they will heal and recover faster as well as minimize discomfort in the first days after the surgery like accumulated mucus in the lunges, muscle soreness, constipation, etc. 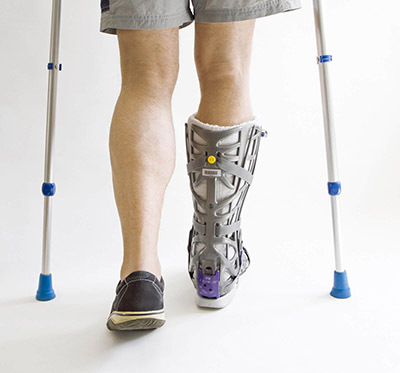 Post-Op Rehab is the rehabilitation programme that a patient will follow once they have had an operation. Unfortunately the success of your surgery doesn’t finish the moment you leave the operating theatre. Physio is required and is extremely important after most surgeries. Post surgery joints tend to stiffen and you may experience some muscle wastage due to disuse, immobilisation and pain or swelling in the affected region. It is essential to retrain core stability following spinal surgery, and often very specific strengthening is needed to achieve a full recovery after ankle, knee and shoulder surgery. Our “phase-based rehab” programs ensure the best and fastest recovery possible by first controlling the inflammation, then restoring your full normal range of motion, and then progressing on to advanced strengthening and stretching. We are familiar with the treatment protocols prescribed by most Orthopapedic Surgeons in Dubai. We’ll happily liase with your surgeon to determine any specific requirements based on your individual surgery. Your orthopaedic physiotherapy specialist will progress you through the phases of the programme as safely and effectively as possible to ensure the best outcome and quick return to activities. Your orthopaedic physiotherapy specialist will progress you through the phases of the programme as safely and effectively as possible to ensure the best outcome and quick return to work, sport or day to day activities activities. To arrange an appointment with our Pre/Post-operative Physiotherapist call 800 UAE (823).